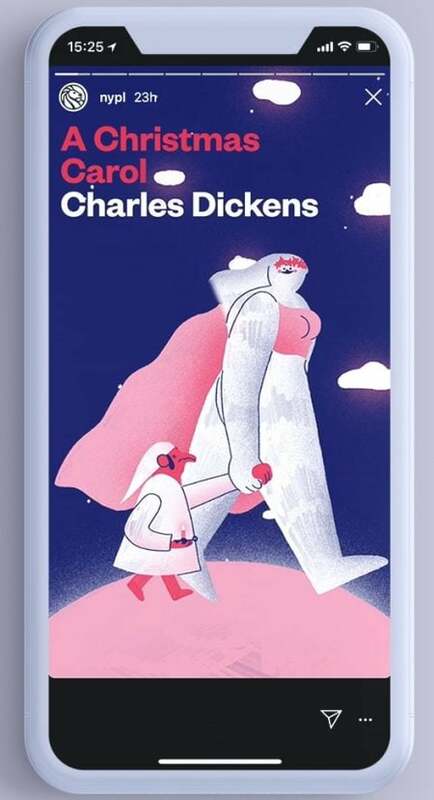 The New York Public Library is marking the 175th anniversary of the first release of Charles Dickens’ A Christmas Carol Wednesday with the debut of a new Insta Novel. The NYPL teamed up with New York agency Mother in August to begin posting Insta Novels—which combine text with visual elements and Instagram functionality—on the library’s Instagram account, starting off with Lewis Carroll’s Alice’s Adventures in Wonderland, illustrated by popular animator Magoz. 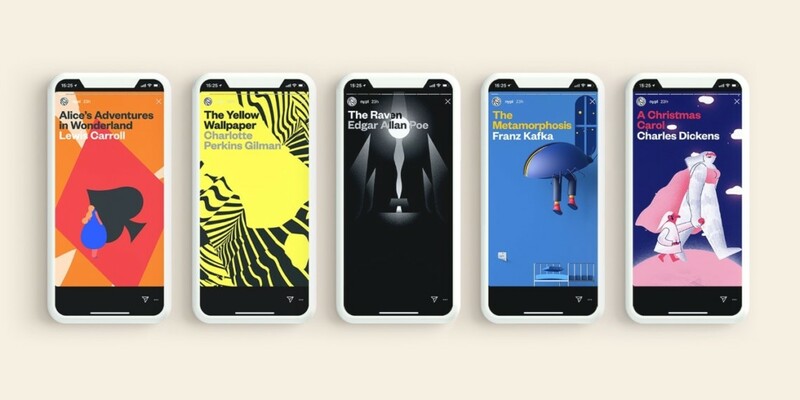 Alice’s Adventures in Wonderland was followed by The Yellow Wallpaper, a short story by Charlotte Perkins Gilman, illustrated by Buck Design; and The Metamorphosis, a novella by Franz Kafka, illustrated by César Pelizer. The NYPL said that since the debut of Insta Novels in August, it has added more than 128,000 followers on Instagram, a 67 percent jump. The library added that iOS downloads of its SimplyE e-reader application shot up 70 percent in the week after the program launched. Caitlin McCarthy illustrated the Insta Novel for A Christmas Story. The NYPL’s main branch on 42nd Street in Manhattan is also hosting A Dickens Christmas, a free exhibition with items including Dickens’ personal copy of A Christmas Story, complete with his handwritten notes for public readings. It runs through Jan. 7.